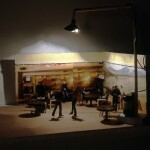 Hrabluik photographs her locations on site then takes her images back to the studio where she uses them to make miniature sets. 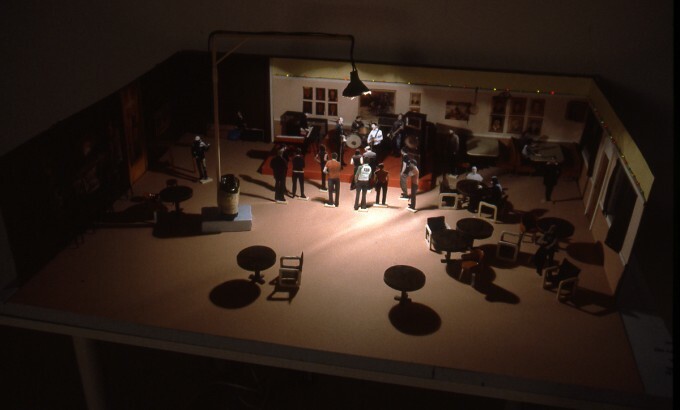 Filming her characters’ silent pantomimed action within the confines of her studio, she selects every few frames from the shot footage, cuts out the individual characters by hand, then places them within the miniature sets—bringing them to life by way of stop-motion animation. 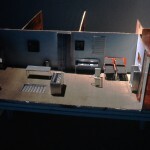 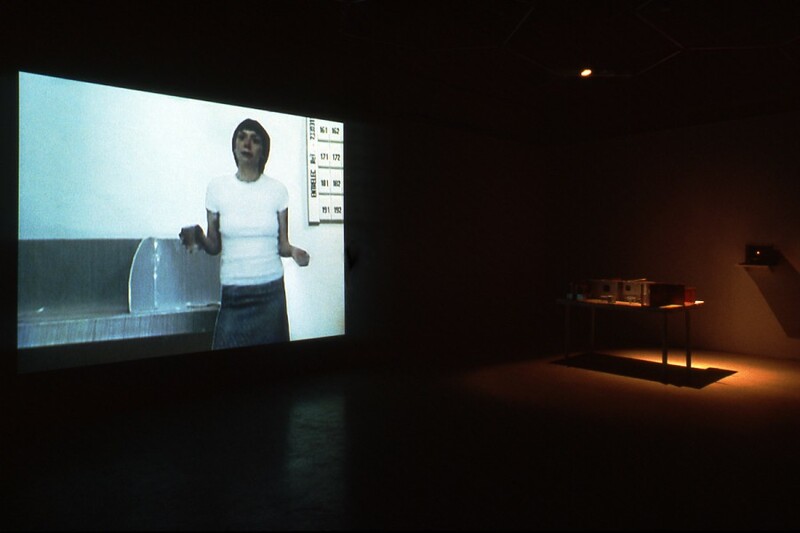 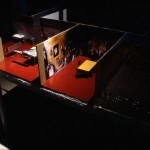 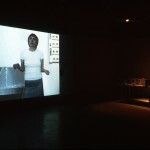 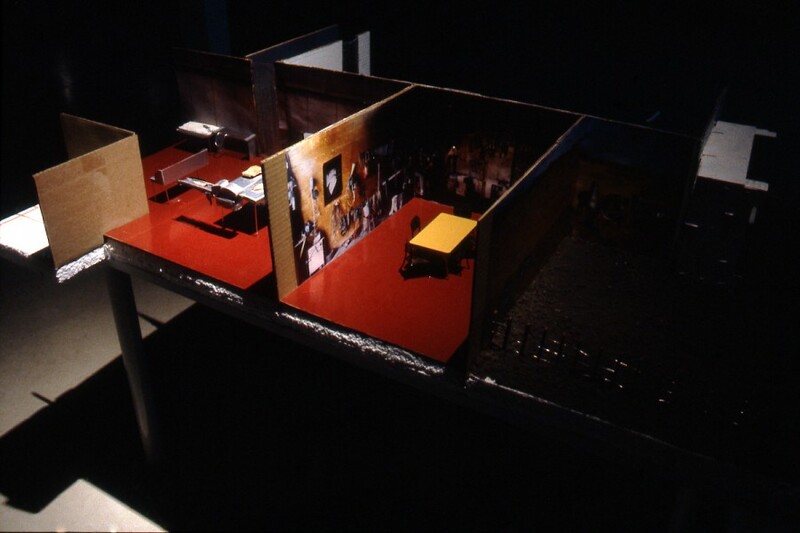 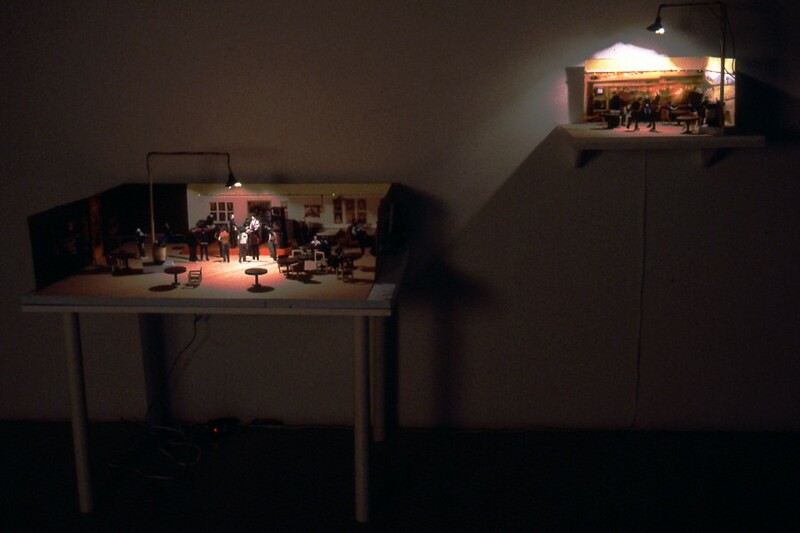 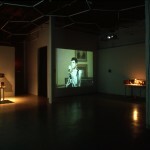 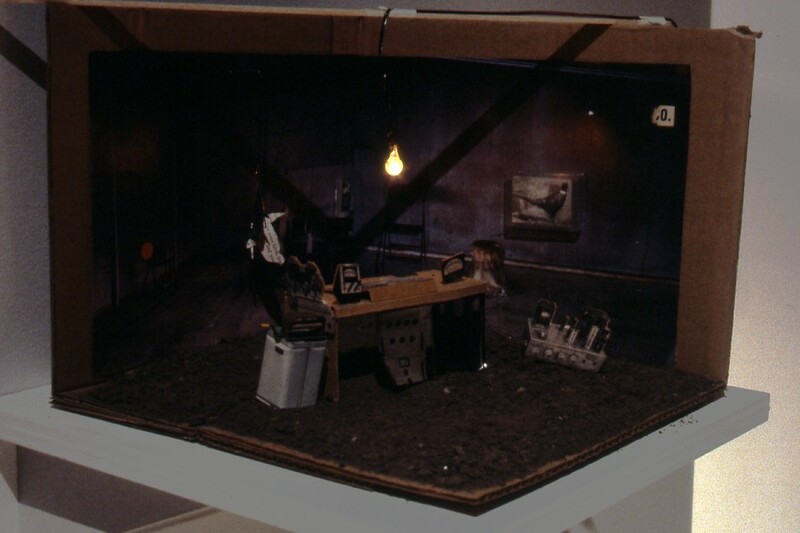 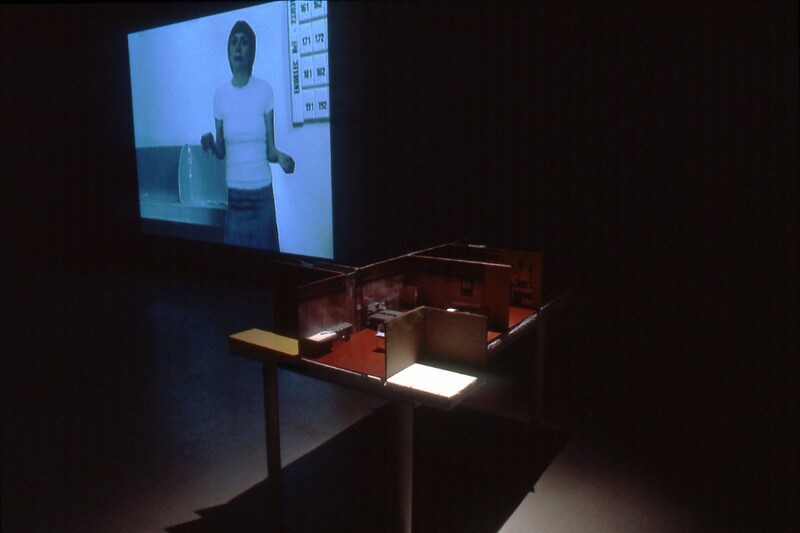 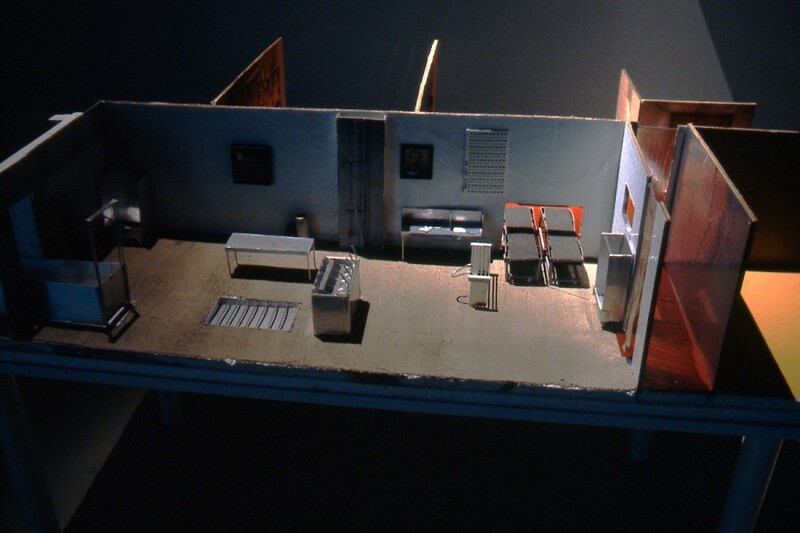 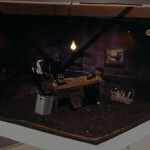 The miniature set building and labour-intensive technical aspect of her animation process; the sharply articulated divide between the actual filmed space of her characters and their replicated, miniaturized, and superimposed placement within the space of her collaged location; the suspension of disbelief that her recreated film sets require of the viewer; the contrast between seductive aesthetics, cyclical content, and connotative setting—these all function with the disembodied and disjointed “action” of her characters to create a changed place and a new moment. 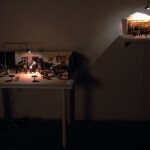 Allison Hrabluik is from Calgary, Alberta and currently lives in Toronto, Ontario. 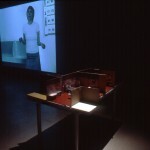 Her work has been shown in solo and group exhibitions and film festivals across Canada and internationally, including Catriona Jeffries Gallery (Vancouver, BC), Downtown Artspace (Adelaide, Australia), Market Gallery (Glasgow, Scotland), EK Arts Centre (East Kilbride, Scotland), Stride Gallery (Calgary, AB), Eastern Edge Gallery (St. John’s, NFLD) and Latitude 53 (Edmonton, AB). 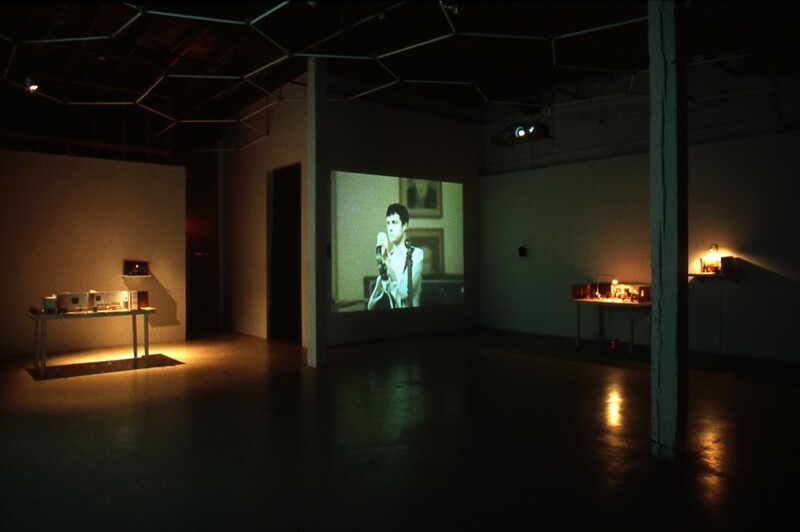 Allison’s videos have recently been screened for Artboat as part of Art Chicago through Threewalls Gallery (Chicago) and as All Set: Two Model Videos by Allison Hrabluik on CBC Radio 3. 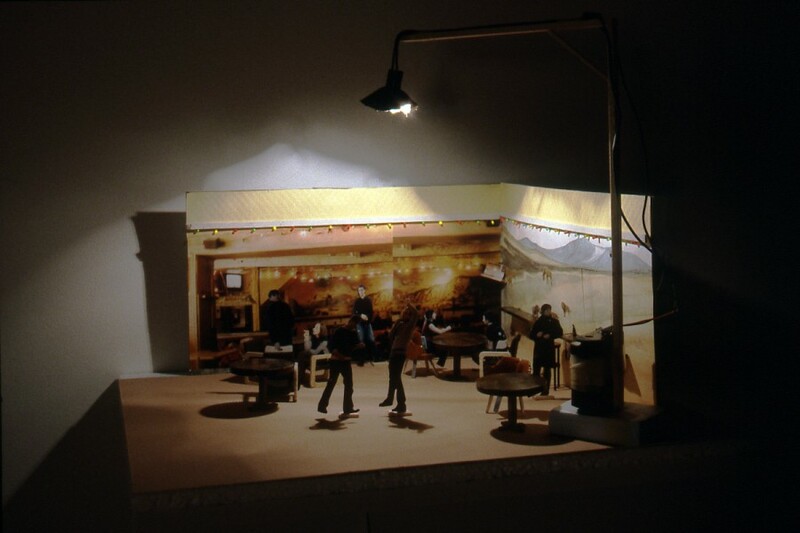 She has recently made multiple works with Tutu magazine (Glasgow), Patti magazine (Vancouver), Art Metropole (Toronto), Artcity (Calgary), and independently as The Lost Hamster Commission.